MAY 2011 UPDATE -- During May we prayed for . . .
SYRIA, where Christians -- including hundreds of thousands of Assyrian-Chaldean refugees from Iraq -- are deeply concerned that they will suffer if the regime falls. Whilst the protests did arise out of social and economic grievances, the Melkite Patriarch of Antioch and All the East, Gregory III Laham, warns that they are being hijacked by armed criminals and Islamists. For more details see expanded blog version. * UPDATE: If Iran is to remain ascendant it cannot afford to lose Syria as a strategic ally. Defense & Foreign Affairs Strategic Policy notes regarding this that Iran has 'hedged its bets' by forming close ties with the Syrian Muslim Brotherhood (Ikhwan). Furthermore, according to D&FA (3, 2011), 'jihadist youth are now the backbone of the Syrian Intifada'. ['Jihadist youth' have been recruited and trained by Syrian Military Intelligence for jihad against the US in Iraq and Afghanistan.] The situation is indeed grim. Syria's Christians will either be protected by a dictator in the shade of the anti-Semitic, belligerent 'Shi'ite Crescent' or they will be left at the mercy of the increasingly radicalised, Islamist-led masses. AINA reports that on 20 May Syrian security forces made successive raids on the headquarters of the Assyrian Democratic Organization (ADO) in Qamishly, arresting dozens of Assyrians. Those arrested had not taken part in any protests. EGYPT, where Islamic fundamentalists are spreading false accusations to incite mass hysteria against the Church. The situation is extremely serious. IRAQ, where the US withdrawal and the Battle for Kirkuk are both looming. If war erupts for control of Kirkuk's oil, al Qaeda in Iraq will doubtless exploit the chaos to target the Christian presence. This could well be the final blow for Iraq's remnant Assyrian-Chaldean Christians. MAY 2011 ROUND-UP -- also this month . . .
Around 2am on 16 May militants attacked Jaruma village in the Toro Local Government Area (LGA) of troubled Bauchi State. They invaded the home of Church of Christ in Nigeria (COCIN) pastor Irmiya Maigida (55) and his wife Keziya (48). Keziya, a mother of seven, was shot as she fled outside. There, militants repeatedly struck her with machetes, stabbed her and rubbed a painful white substance into her wounds until she was unconscious. Left for dead, Keziya, however, awoke to hear her husband wailing in pain from multiple gunshot wounds to the abdomen. Family members got the injured pastor and his wife into a car and headed for the hospital only to be held up by police demanding they give statements before being permitted to proceed. Pastor Maigida's son, Ishaya, laments that his father died before they could reach the hospital. His neighbour, church secretary Brother Joshua Mana, was also killed. Pastor Maigida was the fifth pastor to be murdered in Bauchi State in the past month. On Thursday 19 May, Khartoum accused the Southern-based Sudan People's Liberation Army (SPLA) of attacking a convoy of the Sudan Armed Forces (SAF) in Dokura north of Abyei town. Though the SPLA denied responsibility, the government responded with force. SPLA troops retreated after being bombed and shelled for several hours and Abyei's remnant 20,000 southern Dinka Ngok residents fled south as SAF tanks and thousands of troops moved in. The MSF hospital in Agok, 40km south of Abyei, had received 42 wounded by early Saturday morning. By Sunday it was being reported that Khartoum had seized and annexed Abyei. Southern Sudanese leaders have accused the north of 'an act of war', something Khartoum denies, saying it was merely removing illegal elements so as to improve security and ensure peace and stability. Abyei, now under the control of Khartoum, has since been heavily looted and torched. War looms. Pray for the Church in Sudan. DARFUR: Compass Direct News reports that Hawa Abdalla Muhammad Saleh was arrested on 9 May in the Abu Shouk camp for Internally Displaced Persons in Al-Fashir, Darfur. While she is yet to be officially charged, authorities have accused her of possessing and distributing Bibles. She could also be tried for apostasy, which carries the death sentence in Sudan. Sources fear she could be tortured, a plight familiar to Hawa Abdalla as she was detained and tortured for six days in 2009. Please pray. Kirkuk is a hotly contested city in northern Iraq's 'disputed territories'. Oil-rich, hugely strategic Kirkuk is home to Arabs, Kurds, Turkmen and Assyrian-Chaldean Christians. It is essentially Iraq in miniature. For several years now this prayer ministry has been warning that Kirkuk could explode at any moment into the mother-of-all-wars. Turkey, regional Shi'ites, and regional Sunnis all have strong interests. Recently the United States Institute of Peace identified Kirkuk as the greatest threat to Iraq's stability. As the US withdrawal from Iraq approaches, tensions are escalating and the stakes are being raised, leaving Christians exceedingly vulnerable. After the 1968 revolution Saddam Hussein consolidated Sunni Arab and Baathist control over Kirkuk's vast oil reserves through a policy of 'Arabisation'. From the early 1970s onwards hundreds of thousands of non-Arabs (mostly Kurds) were driven out of Kirkuk and replaced with loyal Arabs. Everything changed after the regime fell in 2003. Article 58 of Iraq's new Constitution stipulated that all non-original residents of Kirkuk province -- i.e. Arabs imported by Saddam Hussein -- must return to their places of origin, and all displaced families -- predominantly Kurds -- must return to the province and claim their properties. This later became Article 140 that further mandates conducting a census ahead of a referendum to determine whether Kirkuk will be annexed to autonomous Iraqi Kurdistan or remain under federal control from Baghdad. The spectre of a referendum on status has only inflamed ethnic tensions. Kurdish police and Arab soldiers recently engaged in an armed skirmish in the centre of Kirkuk. The situation is highly volatile. But Kirkuk is not coveted by Arabs and Kurds alone. Kirkuk is also historically and strategically important to neighbouring Turkey and to Iraqi Turkmen. The Turkmen do not want to see the Kurds further empowered and they do want to see Kirkuk's oil flowing north through Turkey. In 2003 the Iraqi Turkmen Front (ITC) moved its headquarters from Arbil to Kirkuk. To challenge the ruling Kurdish bloc during the 2010 elections, the ITC entered a coalition with Ayad Allawi's secular parliamentary bloc, Al-Iraqiyya, which is strong in the 'disputed territories'. A UN-sponsored meeting on Kirkuk was scheduled to be held in Baghdad on 5 May but had to be cancelled after Arab and Turkmen representatives refused to attend unless the Kurds were denied participation. Distrust and hostility abound. On 12 May, less than two weeks after Ersat Salihi became the head ITC Member of Parliament and ITC Kirkuk City President, Salihi's heavily-guarded home in Kirkuk was attacked with explosives while the family were all inside. Whilst nobody was hurt, this attack and the subsequent one made on investigating police were highly organised and clearly designed to send a political message. This marks the first time a Turkmen leader has been specifically targeted in Iraq, further raising the stakes. Normally ignored by the media, beneath all this is the smallest and most vulnerable of all Kirkuk's constituent groups: the Assyrian-Chaldean Christians. These are a people who have been native to Upper Mesopotamia throughout history but are a mere remnant now, comprising less than one percent of the population. They are essentially inconsequential politically and militarily -- a threat to nobody. However, to Islamic fundamentalists they are infidel 'dogs': unclean, undesirable and unwanted. On Saturday 14 May terrorists abducted Ashur Issa Yaqub (29), a Chaldean Christian construction worker, husband and father of three, demanding an impossible US$100,000 ransom. On Monday 16 May police found Yaqub's mutilated body, dumped in the open. According to provincial health chief, Sadiq Omar Rasul, the body 'carried traces of torture and the bites of dogs'. But 'traces' of torture is a gross understatement. The torture inflicted on this young man is beyond comprehension. His gruesome murder -- labelled by the Archbishop of Kirkuk, Louis Sako, as an 'inhuman act' -- has sent shockwaves of terror through Kirkuk's remnant Christian community. If war erupts Islamic jihadists will doubtless seek to exploit the chaos to eliminate the Christian presence -- and not only in Kirkuk. * surround, protect, lead and comfort his remnant people with his 'everlasting arms' (Deut 33:27a), so that every faithful believer will be profoundly aware of the love and presence of the Lord who never leaves or forsakes his loved ones; may those who choose to flee find refuge and may those who stay know peace. 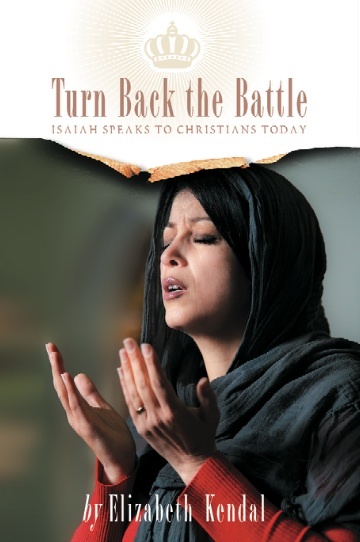 * open the hearts of many Iraqi Muslims to receive the life-changing gospel of Jesus Christ. Kirkuk is an ethnically mixed, hotly contested city in northern Iraq's 'disputed territories'. As the day of the US withdrawal from Iraq approaches, many fear the resulting security vacuum will open the door for the battle for highly strategic, oil-rich Kirkuk to begin. Should war eventuate, the remnant indigenous Christian community would be exceedingly vulnerable. Islamic militants would doubtless exploit the chaos to eliminate the Christian presence -- and not only in Kirkuk. Over 14 &15 May, terrorists abducted Ashur Issa Yaqub (29), a Chaldean Christian construction worker, husband and father of three. They tortured him to death before dumping his mutilated body in the open. This 'inhuman act' has sent shockwaves of terror through Kirkuk's minority Christian community. Please pray for Iraq's besieged Christians. In the 1980s, thousands of Egyptian Salafi ('pure Islam') jihadists went to Afghanistan to fight the Soviets. As the veterans started returning home to Egypt in the 1990s, domestic terrorism escalated, so President Mubarak blacklisted some 3000 members of Salafi jihadist groups, preventing their return to Egypt. However, Egypt's new ruling military council recently removed nearly 2000 names from that list. Thousands of jihadists have returned since to Egypt from Afghanistan, Chechnya, Bosnia, Somalia, Kenya, Iran and London. The spirit of jihad is returning to Egypt. Furthermore, the new military-led government has pledged to normalise relations with Iran and to open Egypt's border permanently with Hamas-controlled Gaza. Egyptians will go to the polls in September. Leading presidential candidate, Amr Moussa (74) -- a former foreign minister (1991-2001) and the outgoing head of the Arab League -- has promised that if elected he will 'reset' Egypt's foreign policy regarding Israel to better 'reflect the consensus of the people'. The spirit of belligerence is returning to Egypt. Neither bodes well for Egypt's minority Christians. On Friday 6 May some 3000 Salafis, many dressed in Taliban-style Islamic garb, descended on St Mark's Cathedral in Cairo demanding to see Camilia Shehata and Wafaa Constantine, both wives of Coptic clergy, who they claim converted to Islam. The next day Camilia appeared on Egyptian TV once again, confirming that she never converted to Islam, but is and always has been a Christian. Whilst the Islamic narrative -- that these women converted to Islam and are held by the church against their will -- has been proved to be a total myth, it is still being used by Islamists to incite mob violence against the church. [Background: IRAQ & EGYPT: al-Qaeda declares war on Christians. On Saturday 7 May some 3000 Salafis descended on the Church of St Mina in the Imbaba area of Cairo at about 5:30pm, demanding the release of a Christian girl named Abir who they claimed had married a Salafi and was being detained and tortured inside the church. By 7:30pm the rumour had drawn a massive crowd of agitated Muslims who were chanting Islamic slogans, shouting Osama bin Laden's name and patrolling up and down the streets. Attempting to dispel the rumour, senior Coptic clergy permitted a group of Islamic imams to search the church property for the woman. Though the imams reported to the crowd that the woman was definitely not in the building, it was to no avail. By 8:30pm the Muslims were rioting, firing guns and hurling Molotov cocktails at Coptic churches, houses and businesses. The Church of St Mary & St Abanob and St Mary's Church were also torched. The army eventually arrived at 10pm but only to watch, as they were totally unable (or unwilling) to control the situation. In all, 12 Copts were killed and 240 injured, 65 of whom medical sources report had been shot. On Sunday 8 May thousands of traumatised Copts and sympathetic Muslims marched peaceably to the headquarters of Egyptian TV & Radio and the Ministry of Information in Maspero. Though the army intervened with tasers and hostile local Muslims hurled rocks, the protesters pressed on. They settled down eventually for an indefinite sit-in, demanding the resignation of Field Marshall Hussein Tantawi and trials for those involved in instigating sectarian attacks. Hundreds of Coptic Christians also guarded St Mark's Cathedral in Cairo as Coptic Pope Shenouda III delivered his weekly Sunday sermon to nearly 10,000 church members. Egyptian police and armed forces were also there in force. Pope Shenouda's sermon was entitled 'Forgive'. Meanwhile, senior military officials have falsely claimed that the Copts fired first from within the church and the Salafis have vowed to return next Friday (13 May) for another demonstration to 'free' Christian converts to Islam. This is all plain incitement to violence, cleverly and strategically camouflaged. * use these violent times for his divine sovereign purpose: to sanctify the Church; to awaken many Muslims to the fundamental differences between the Mosque and the Church, Islam and Christianity, Muhammad and Jesus Christ, the Qur'an and the Gospel of grace. On Saturday 7 May some 3000 Salafi Muslims descended on the Church of St Mina in Cairo, demanding entry to rescue a Christian girl they claimed had married a Salafi and was being tortured inside the church. The rumour drew a massive crowd. Though Islamic imams who were granted entry reported to the Muslim crowd that no girl was being hidden inside, the Muslims kept rioting, shooting and hurling Molotov cocktails. The Church of St Mary & St Abanob and St Mary's Church were also torched. Twelve Copts were killed and 240 injured, 65 of whom had been shot. Military officials blamed the church for the violence and the Salafis vowed to return the next Friday (13 May) to protest yet again. Please pray for Egypt's besieged and imperilled Christians. Abidjan's last pro-Gbagbo stronghold of Yopougon district fell to Alassane Ouattara's Republican Forces of Ivory Coast (FRCI) last Wednesday 4 May. The UN is investigating a reported FRCI massacre at a Baptist Church in Yopougon which was sheltering more than 2500 refugees. FRCI soldiers reportedly stormed the church, looted the emergency medical supplies and seized 54 refugees, dragging them away in the direction of the petrol station. Please pray for the Christians of Ivory Coast. As US-allied dictators fell in Tunisia and Egypt, Iran scoffed while the US-allied dictators in the House of Saud shuddered. Everything changed, however, when Bahraini and Saudi forces, with the tacit approval of the US, crushed the 'pro-democracy' protests at Pearl roundabout. The media are confused by what they see as 'mixed responses' because they fail to realise that who falls is far less important than who rises. In Bahrain the protesters were Shi'ites; their success would have been Iran's gain. When dissent was crushed in Bahrain, the 'Arab Spring' transformed into a struggle over the regional balance of power. For decades, the US - Sunni Arab axis prevailed. Then the Iraq War opened the way for Shi'ite Persian Iran to gain the ascendancy. As the struggle for the regional balance of power heats up, Syria becomes absolutely pivotal. Syria is 90 percent Sunni Arab, yet it is central -- both geographically and strategically -- to the Iran-Syria-Hezballah (Shi'ite) axis. This situation arose because the ruling Assad family belong to the obscure Alawite sect, an offshoot of Shi'ism considered heretical across Islam. Needing allies, Syria's former president Hafiz al-Assad (father of the current president Bashar al-Assad) forged close bonds with Musa al-Sadr, the most prominent Shi'ite leader in Lebanon. In 1973 al-Sadr issued a fatwa recognising Lebanon's Alawites as Shi'ites. This was not only a coup for the Alawites, it was vital for the region's Shi'ites, for without Syria there would be no 'Shi'ite Crescent'. In 1980 the Assad regime formed a strategic alliance with Iran. Since then, Iranian Revolutionary Guards have served alongside Syrian Republican Guards protecting the Assad regime. It also resulted in Iranian Shi'ite missionaries having free range in mostly Sunni Syria. Relations with Iran have only grown stronger since Bashar al-Assad came to power in 2000. Hundreds of thousands of Iranian and Iraqi Shi'ites have since been naturalised as Syrian citizens. However, nothing has drawn Syria's Sunni masses to the Iran-Syria-Hezballah axis as did Hezballah's 2006 war against Israel. While Syria is still only around one percent Shi'ite, Shi'ism has been popularised to the extent that analysts talk of 'Shi'itization'. Naturally this horrifies the Muslim Brotherhood and the US-Saudi axis. While Israel, the US and the Saudis would love to prise Syria out of the Iran-Hezballah axis, Iran and Hezballah cannot afford to lose Syria if they are to remain ascendant. Consequently Iranian forces are aiding the Assad regime while Salafi jihadists from Saudi Arabia are aiding the Syrian opposition. Now Syria risks being torn apart by an Iraq-style sectarian conflagration over the regional balance of power. Should this eventuate, Syria -- like Iraq -- will drown in blood. There are about 1.4 million Christians in Syria, comprising 6.3 percent of the total Syrian population (Operation World). Furthermore, Syria hosts some 1.2 million Iraqi refugees, including hundreds of thousands of Assyrian and Chaldean Christians and Mandaeans. Because Syria has been Baathist (secular and socialist, as was Iraq), repression has been political, not religious and Christians have had a higher degree of freedom in Syria than those in other Muslim states where Sharia is observed. Most Syrian Christians are deeply concerned that if the regime loses control, they will suffer immensely in the resultant chaos. Consequently, Syrian Christians are maintaining a very low-key approach both politically and religiously. They kept their observance of Easter very quiet this year, cancelling traditional public processions and celebrations. The riots have not been sectarian yet, being rooted in grievances that are social (repression and inequality) and economic (unemployment plus massive fuel and food price hikes). However, the Melkite Patriarch of Antioch and All the East, Gregory III Laham, has cautioned that criminals have become involved now and weapons are flooding in. What is more, he adds, there are fundamentalist Muslims calling for jihad. * fill all Syria's Christian leaders with great spiritual wisdom and authority, that they will be able to lead God's people according to God's purposes. * comfort and encourage all Syria's Christians with his presence, and draw them into prayer and Christian unity, that they will grow in grace, faith, brotherly love and sanctification, to the glory of God. As the 'Arab Spring' becomes a struggle between the Sunni US-Saudi axis and the Shi'ite Iran-Hezballah axis for the regional balance of power, Syria is absolutely pivotal. Because the Syrian regime is allied to Shi'ite Iran and Hezballah, that puts Syria at the centre of a 'Shi'ite Crescent', yet the population is 90 percent Sunni Arab. With Syria's chaos deepening, and Iran and Saudi Arabia interfering, it risks an Iraq-style sectarian conflagration. 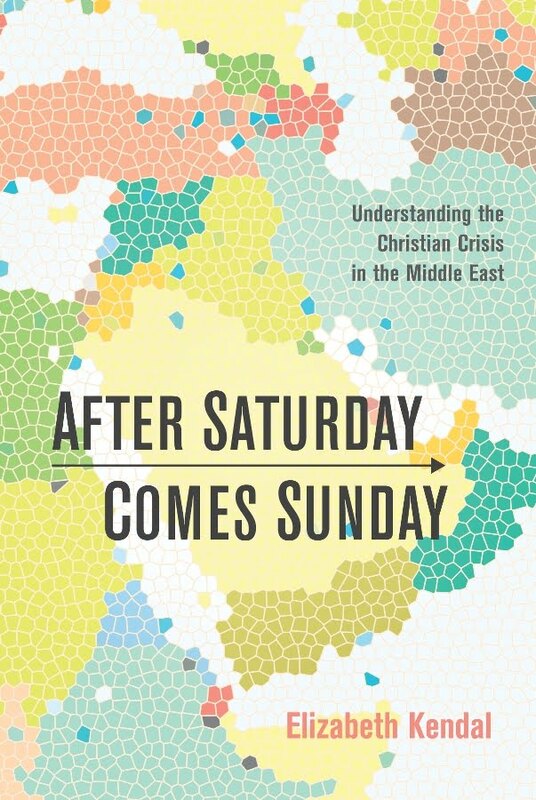 If such a conflict eventuates, Syria's 1.4 million Christians (6.3 percent of the population) will be just as vulnerable and threatened as Iraq's now almost annihilated Christians have been. (In fact, Syria hosts hundreds of thousands of Assyrian and Chaldean Christian refugees from Iraq.) There is much fear. Please pray for the Christians in Syria.